Find hotel near Munda Wanga Environmental ..
Munda Wanga Environmental Park is a natural park which houses a botanical garden, a wildlife sanctuary and a fossil site. Various migratory birds came here for migration and you can grab the chance to observe their characteristics closely. In the botanical garden you can find various types of floras with names labelled on them. It houses an open playground where you can kids can enjoy different types of games. You can organize picnics and family reunions in the separated picnic area. It houses two ponds where you can find variety of fishes. 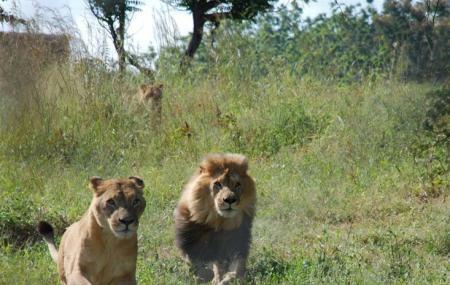 The common animals which can be found in Munda Wanga Environmental Park are monkeys and lions. The place was very nice...as a kid I was so excited every time I got the chance to go there but now the place looks so deserted, few animals and a lot of drunk kids around. Order should be maintained and a rejuvenation of the place will be ideal. Otherwise it is A very nice place for picnics and other family gatherings. A quiet location near Lusaka and good for a day trip. It's lack of funding means that it's not as good as it should be. Worth a visit but one is all that is needed.